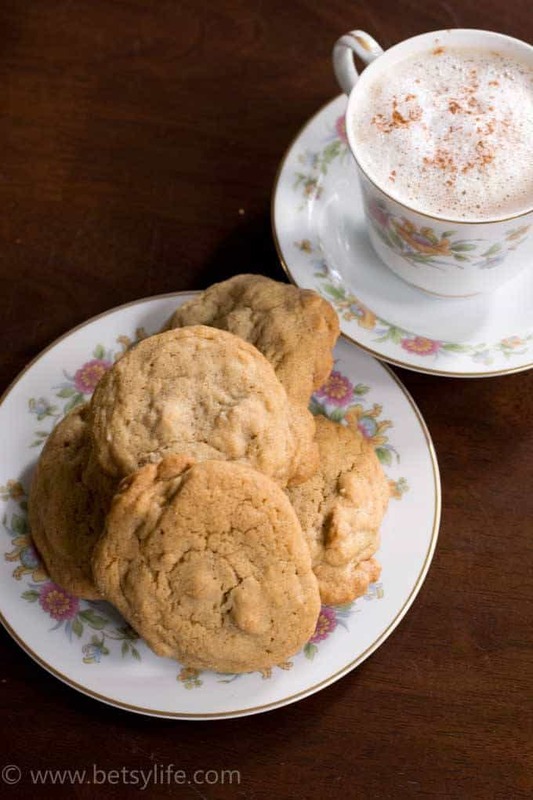 There's no place like home, and there's no home without the well-known smell of fresh homemade cookies. Preparing them doesn't take too much effort or time, and they are perfect for many occasions. Having an unexpected guest? Feeling cranky after a hard day of work? Nothing that some sweet cookies couldn't resolve. 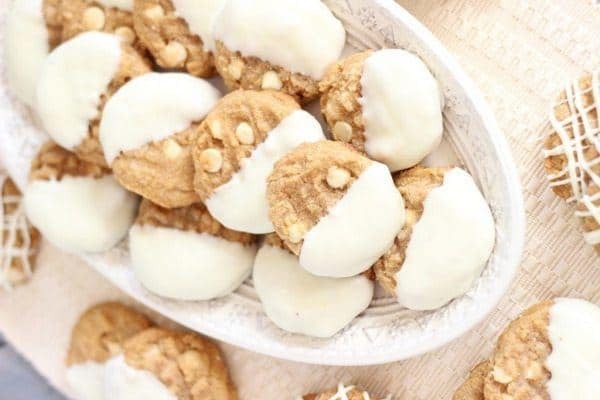 All of us here (at ChewTheWorld) absolutely adore cookies, and that's why we decided to list some of our favorite homemade cookies recipes we accumulated through time. Some are from Paula, some from friends, some from the web, but all have one thing in common – peanut butter. Check them out and get some new, fresh ideas for the weekend! *These recipes are sorted by time tags (both prep and cook). Click on the tab to find the one you need. 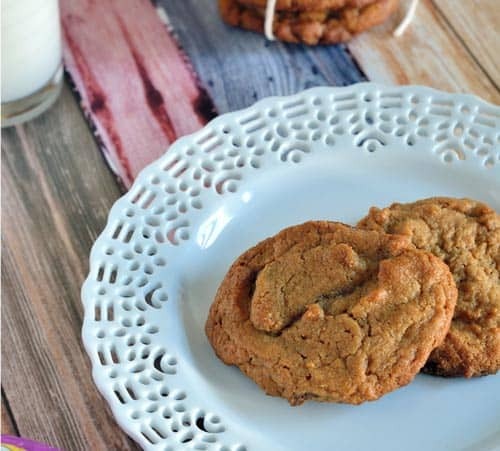 With just 5 ingredients, these Flourless Toffee Peanut Butter Cookies are easy and delicious with serious peanut butter flavor! Sure to be a new favorite! Gluten-free chocolate chip cookies are a miracle for those with a gluten intolerance or worse. Moist, rich, and simple to prepare. The entire recipe takes 30 minutes or less, start to finish. 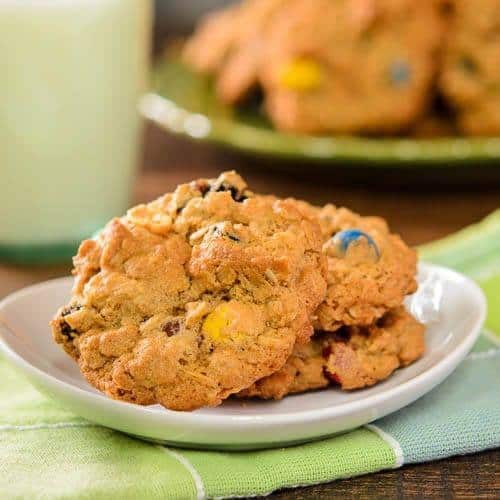 Peanut Butter Oatmeal Chocolate Chip Cookies are easily our family's favorite cookie. You really can't go wrong with the soft, yet chewy texture along with the peanut butter and chocolate flavor combination. They're simple enough that my elementary school kids can make them, but fancy enough to make as a special treat to share. This recipe even won a Best of Show ribbon at our county fair! I bet they'll be your new family favorite too! This super easy recipe passes my "test" in that no one will know these are gluten free! Yes, they're that good! 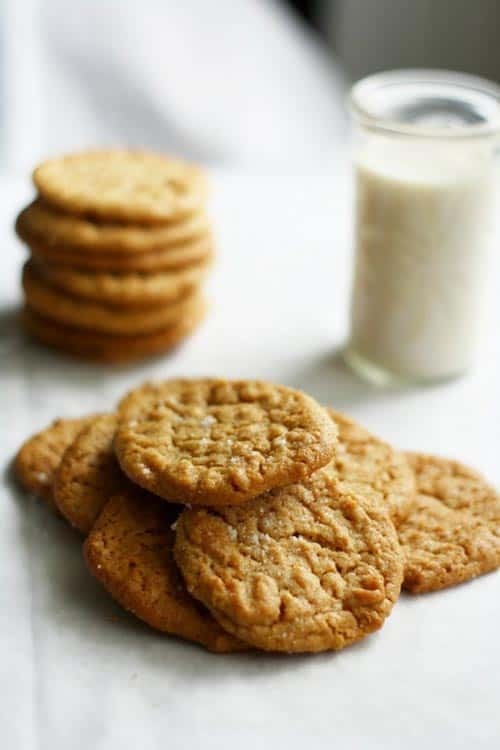 No need to make two types of cookies when you are baking for gluten free diets; just make these delicious peanut butter cookies and no one will ever know that there's no flour in the recipe! 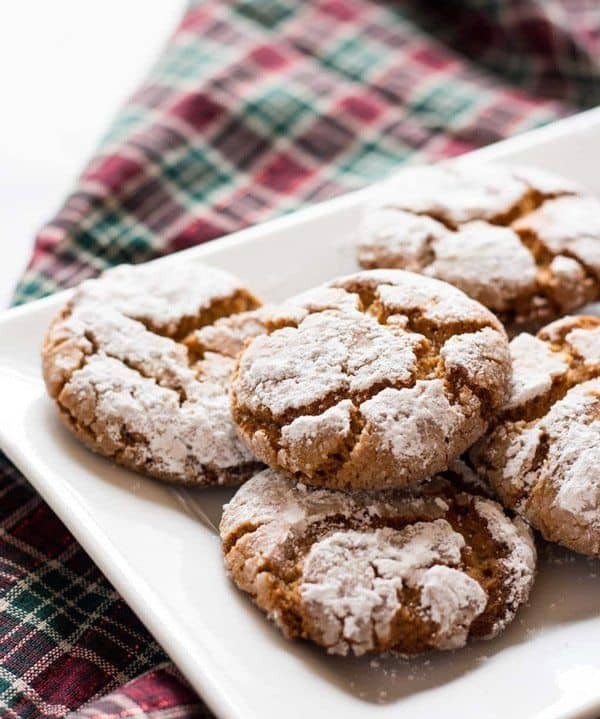 Peanut butter crinkle cookies are tender, crisp, and melt in your mouth like shortbread. 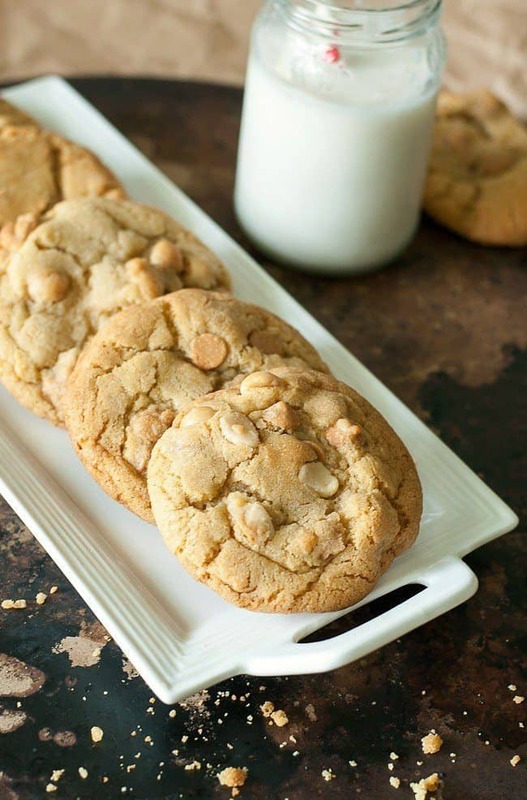 Coated in confectioners' sugar, the buttery peanut-flavored cookies are irresistible-especially if you are a peanut butter lover. It's hard to say no to just one cookie! Heather at My Sweet Mission has been making these yummy Nutty Peanut Butter Cookies for over 20 years. 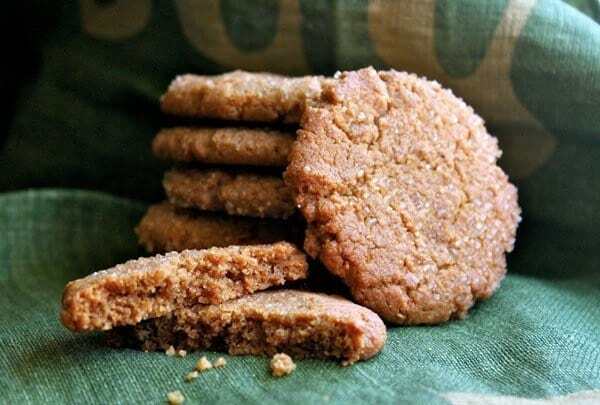 And, they may possibly be the BEST peanut butter cookies you'll ever taste! 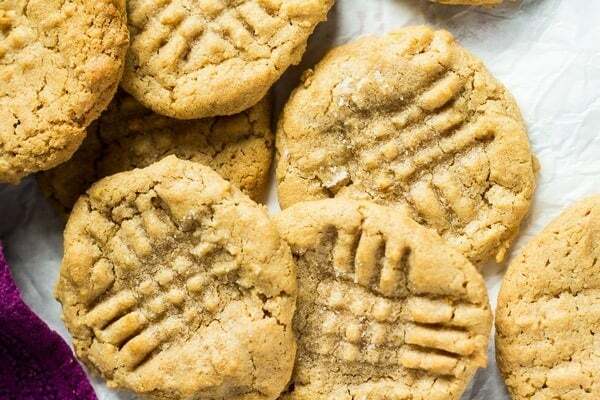 They're soft & chewy, and loaded with amazing peanut butter flavor. Her family and friends love them and they always turn out perfect! If you love peanut butter, go ahead and give them a try. 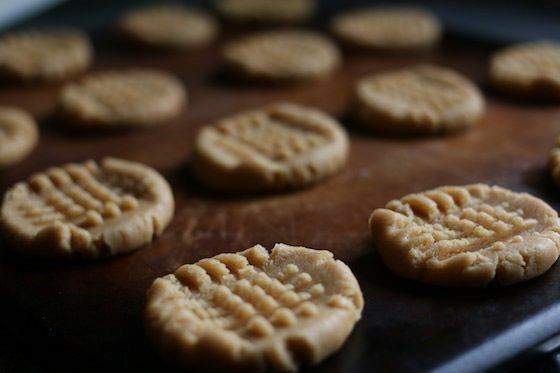 These deliciously soft and chewy Peanut Butter Cookies are super quick and easy to make, and you only need 4 simple ingredients! 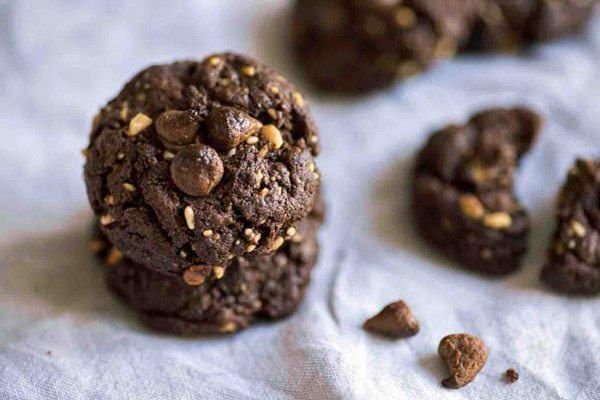 If you are looking for a delicious, gluten free, dairy free and energy-boosting snack, try these Cocoa Peanut Butter Cookies. Easy to make with just six ingredients, these cookies have rich chocolate and nutty flavours and a crunchy texture. Choose homemade peanut butter, unsweetened cocoa and unrefined sugar for a healthier treat. We first learned about this recipe recently, while browsing for some fresh ideas, and it surprised us by the number of praise it received from people who tried it. These cookies are so easy to prepare, and basically, you can't make a mistake while making them! The secret lies in the crunchy peanut butter – this version of this fabulous spread provides texture and taste, while holding the cookie's integrity. Couldn't recommend it more! These are the cookies you'll love at the first sight. They take around 30 minutes to complete, and will decorate your dining table on an amazing way. Jelly inside these cookies will provide the texture and keep them in place, while peanut butter will be responsible for the majority of the taste. So, both easy and fast to prepare, looking and tasting amazing – what's there not to like? You can really feel the difference between the commercial and homemade peanut butter when you try these cookies. The simplicity and ease of making is the main feature of this recipe, as it will take minimal effort, a handful of ingredients, and just ten minutes of your time! Absolutely fantastic! Thanks to the recipe from MommyMoment.ca, we had several beautiful afternoons thanks to these delightful bubbles of joy! 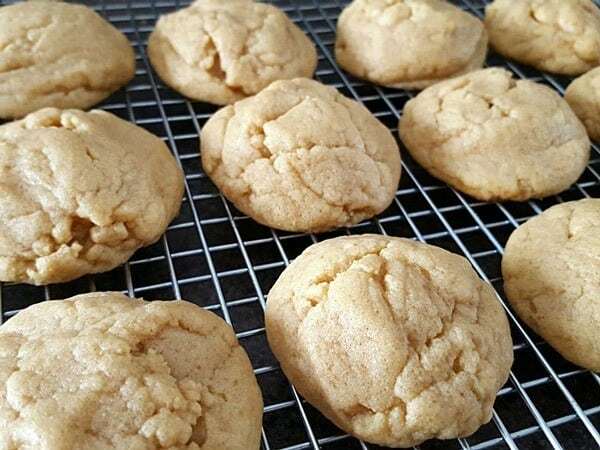 Peanut Butter Cookies Just Like Grandma Used to Make! 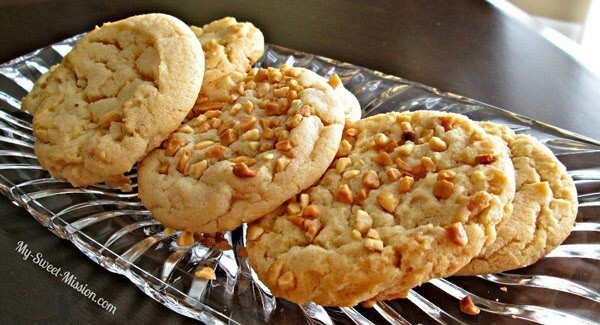 Peanut Butter Sea Salt Cookies!!! You have to try this fool proof recipe! And these cookies only require five ingredients so you'll be baking these again and again! They are the best! Were you a fan of fluffernutter sandwiches when you were a kid? 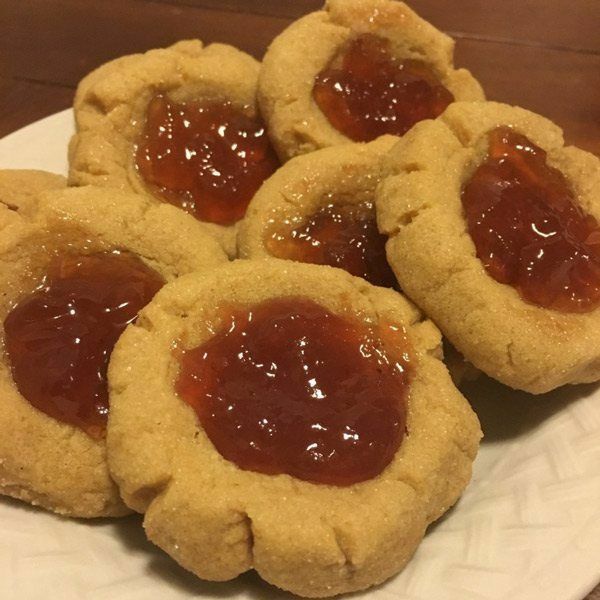 If so, then you're going to love these thumbprint cookies. A crunchy peanut butter cookie is topped with a perfectly golden marshmallow, creating a flavor combination that's irresistible. Serve with a tall glass of cold milk and travel back in time to your childhood! 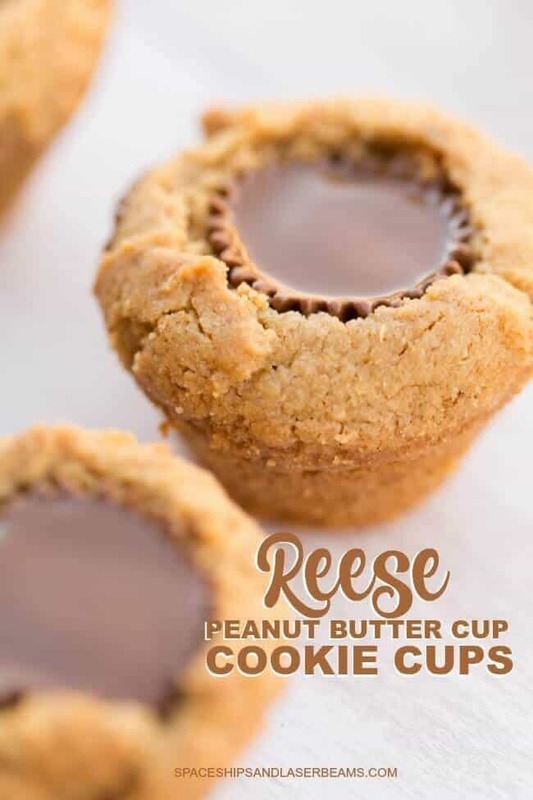 These Peanut Butter Cookie Cups are sure to become a family favorite for years to come. They're both crispy and gooey, which makes me think of childhood every time I bake them. They're a fun recipe to make with your kids as well! Enjoy! 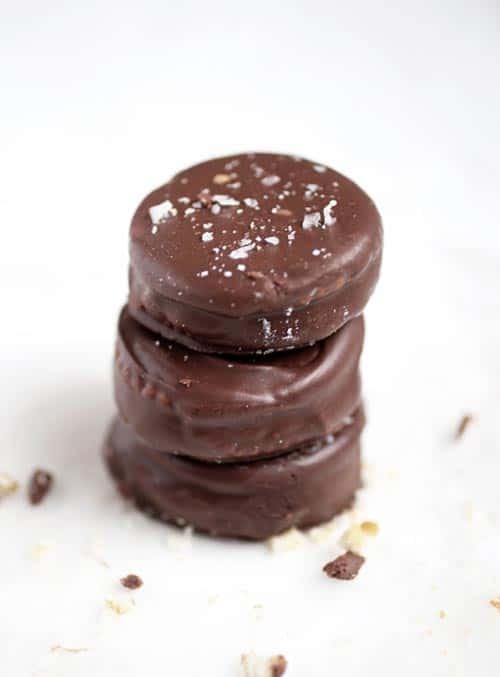 These easy-to-make cookies are filled with creamy peanut butter and a decadent homemade salted caramel sauce, sandwiched between two buttery crackers, dipped in chocolate, and sprinkled with a pinch of sea salt flakes. The perfect combination of sweet and salty, all in a delicious no-bake cookie! 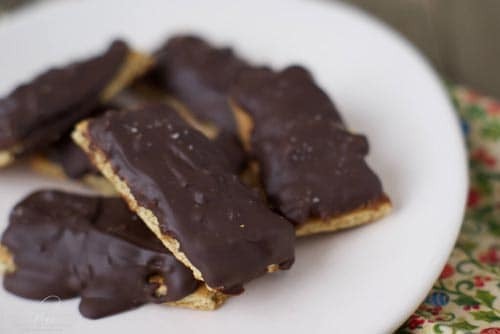 No-bake Chocolate Peanut Butter Graham Bars combine everyone's favorite flavors into one super easy to make bar cookie. Only 6 ingredients, that you probably already have on hand. Grab the kids to help with this one and make some sweet memories. 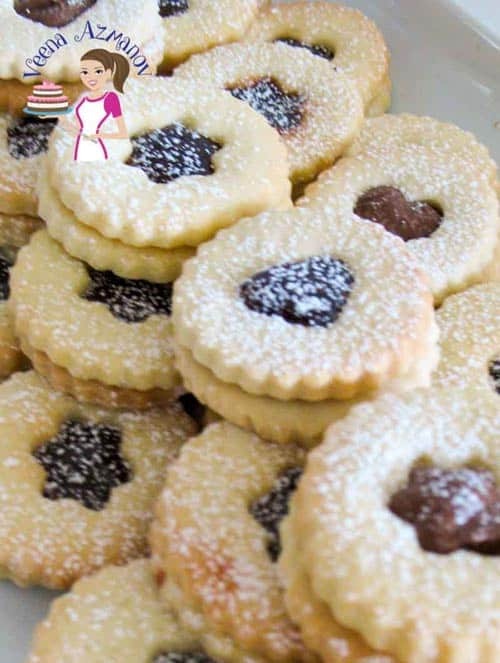 These Almond Linzer Cookies are rich, crisp and buttery. Made with shortbread cookie dough as a base with almond meal for that added crumb. Filled with jam, chocolate, Nutella or dulce de leche these are bound to melt in the mouth. Here's a gluten+grain-free peanut butter cookie that tastes better than the ones you grew up on! 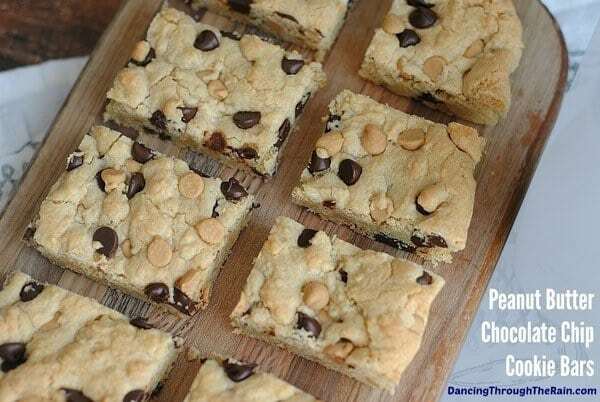 These Peanut Butter Chocolate Chip Cookie Bars are easy to make and unbelievably delicious! With chocolate and peanut butter chips, anyone can make them and be the hit of the party! Peanut Butter No-Bake Cookies are a creamy and delicious spin on the classic no-bake cookie! Our no-bake cookies (of any flavor variety) are always a hit with the kids, and we love to make these 5-minute cookies up in the evening for after school snacks during the week! 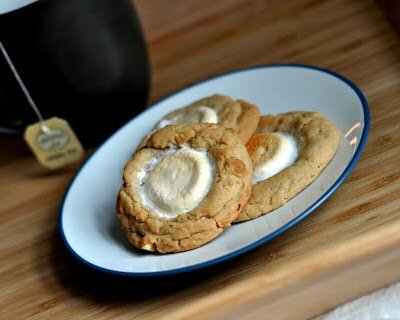 A lunchbox favorite turned into an easy to make cookie! A little sweet, and a little salty, these PB&J cookies will put a smile on everyone's face! Best of all, these cookies have a sort of nostalgia that makes them perfect to bake with your kiddos! 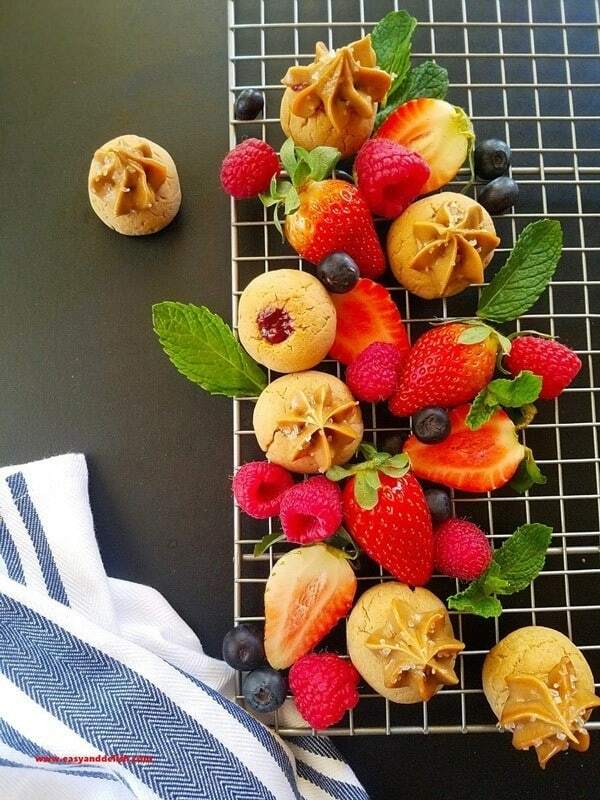 Looking for the perfect peanut butter cookie? Look no further! These cookies are slightly crispy on the outside, soft and chewy on the inside, and they stay soft after they've cooled. 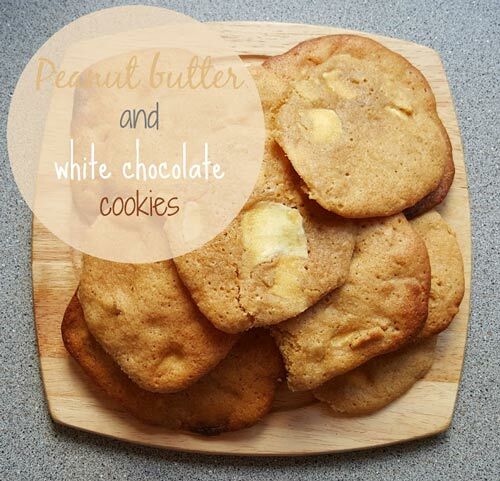 Packed with peanut-y flavour, they're simply the best peanut butter cookies you'll ever make! 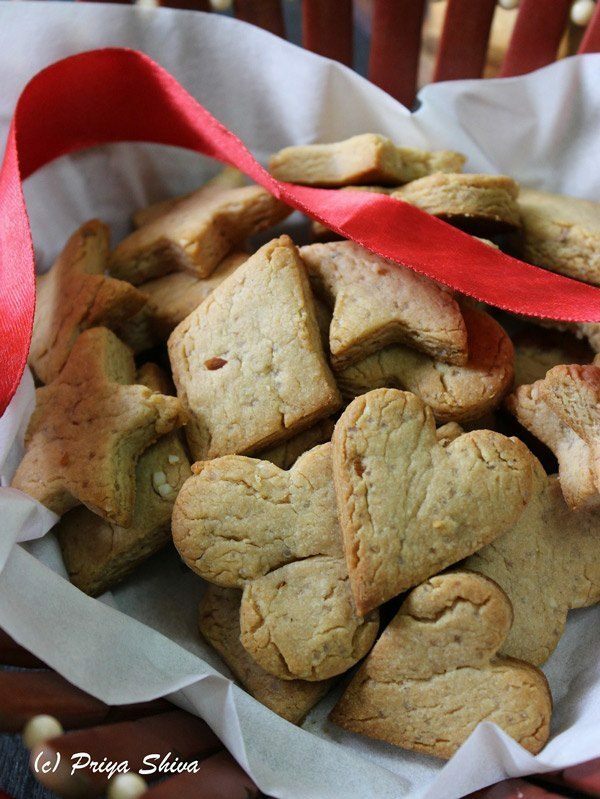 A recipe for Oatmeal Peanut Butter Trail Mix Cookies. 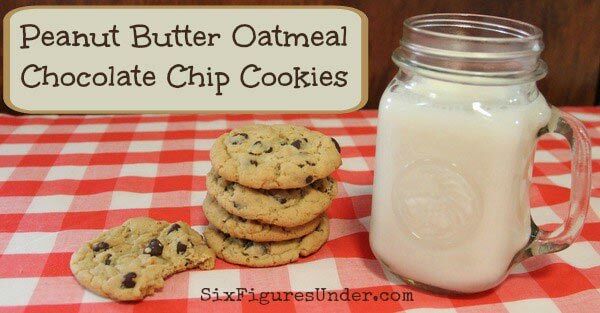 These easy to make cookies are great for snacks and are made with oats, peanut butter and your choice of trail mix. 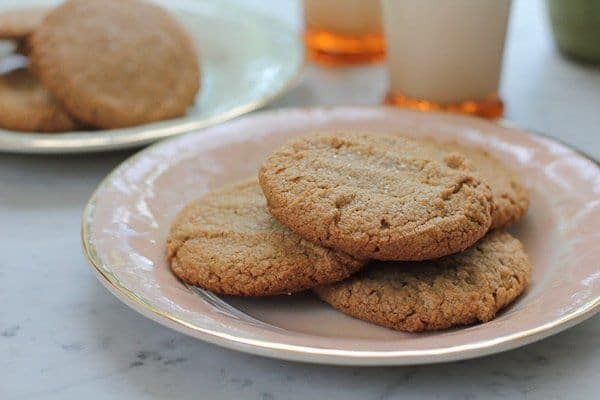 These cookies are only three ingredients, and are the most peanut-buttery cookies you can find. 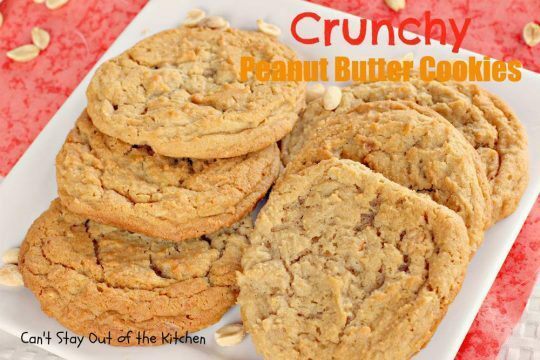 They only contain peanut butter, sugar, and eggs, so they're extremely chewy, and ultra-peanut buttery! Give them a quick dunk in melted white chocolate, and they're not only much prettier, but they're completely decadent and amazing! This is the elevated version of the chocolate chip cookie; moist and chewy on the inside and crispy at the edges. Browning the butter gives them deep notes of toffee and butterscotch. If you want the extreme level of chocolate chip cookies then this is what you're looking for. We all have those memories when we were young; the cookies our grandmas used to make are the best we had in our life. The memory lives on, and the delight of the grandma's cookies passes from generation to generation. Even though this recipe requires a bit more time to complete, but the effort and patience will pay off significantly. 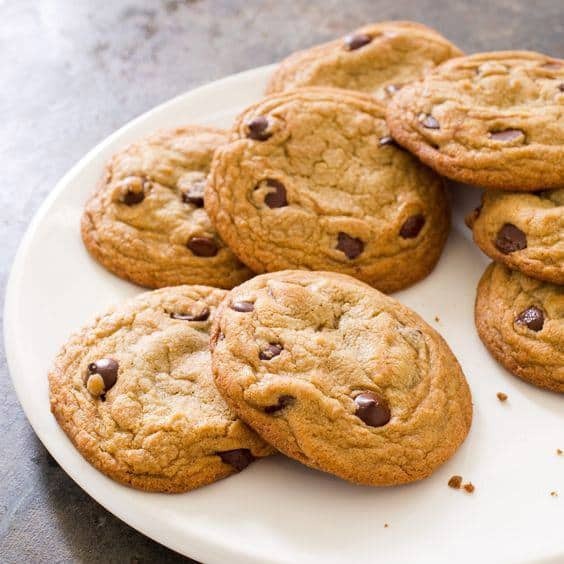 What's your ideal cookie? Soft and chewy? Sweet but salty? Peanut butter and chocolate? These cookies are easy to bake and can be made even by an amateur baker. 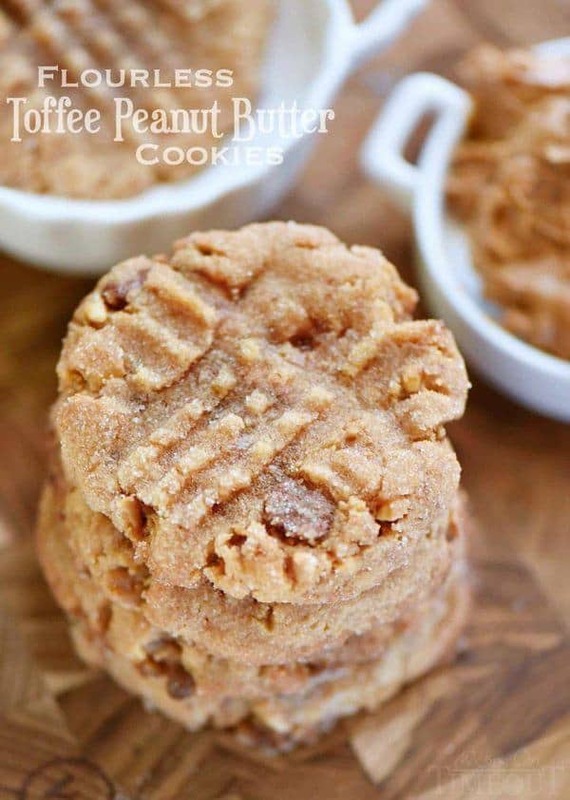 The combination of Peanut butter and honey makes these irresistible! 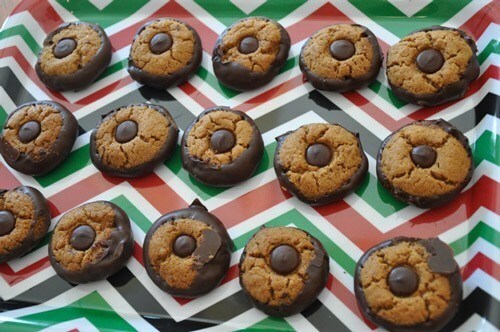 My family makes these peanut butter blossoms every Christmas: they are the perfect combination of peanut butter and chocolate though so they can be enjoyed all year round as well! 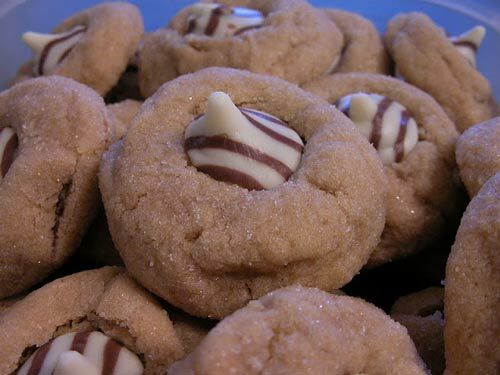 They are easy to make, all you have to make sure of is that you are quick while plopping the Hershey kiss on the warm cookies at then end! 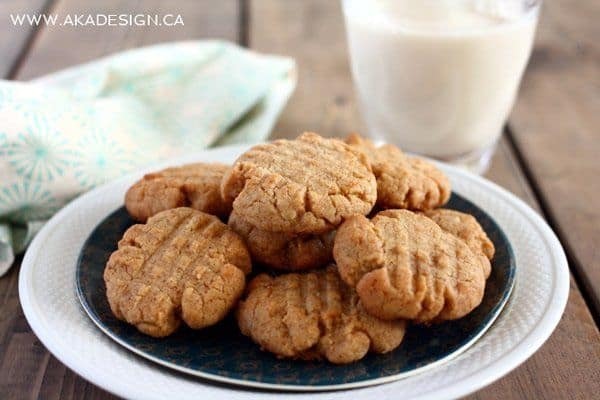 These gluten free and vegan peanut butter cookies are soft and delicious, just like the ones from your childhood! I know what you're thinking. 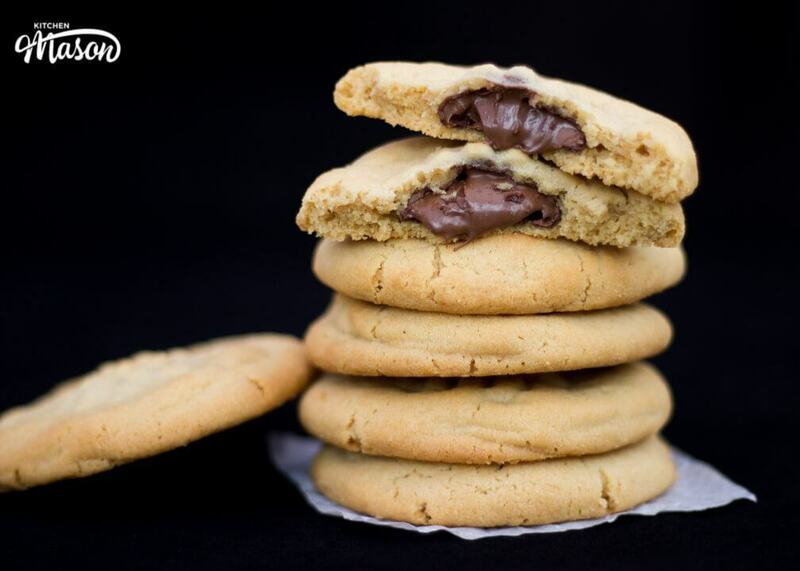 These incredibly beautiful, drool inducing Nutella Stuffed Peanut Butter Cookies are exactly what you need in your life right now. Don't worry, I got your back! They're nowhere near as complicated to make as you might think. In fact, they're actually really easy to make and they taste amazing! What are you waiting for? What do you think about these recipes? Have you tried them before? What a great collection! 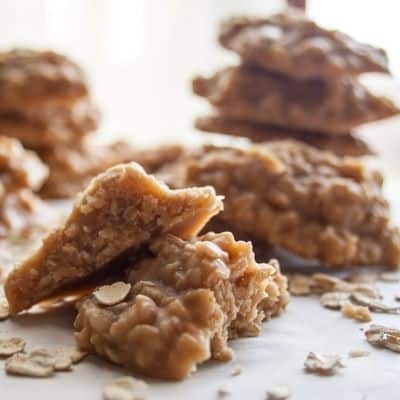 Thanks for featuring the Oatmeal Peanut Butter Trail Mix Cookies from Magnolia Days. Thank you so much for including one of my recipes among these other super delish cookie recipes. Have a delicious day!